Travelstart offers a flight search engine that allows you to find flights from major airlines and low cost carriers like Mango airlines and Kulula that are all in one place. This then allows you to compare prices. Travelstart also allows you to define the parameters of your search. This search criteria can include your departure time and your preferred number of stops. With Travelstart you are then able to look for domestic flights South Africa but also international flights. They will provide you with a comprehensive list for any flight that you are looking for to anywhere that you want you want to go. You can also see all the offerings from a particular airline which will then allow you to choose the flight schedule that is best suited to you. Once you have found the flight that you are looking for you can select it and also pay for it through Travelstart. It’s as easy as that. So why Should you use Travelstart as your booking site? Travelstarts instant price comparison means that you will be able to save both time and money. All the fares from all major airlines as well as low cost carriers are shown on one page and listed from the cheapest first. As you are able to search for flights yourself, you can quickly compare and book flights instead of having to wait for quotes from travel agents. As everything can be done online you receive low service fees and this how you can save money when booking cheap flights via travelstart. Travelstart offers everything that you need to travel. You can opt for some great value travel insurance, an immediate confirmation through SMS as well as personal assistance if you have any special requirements that you need taking care of. 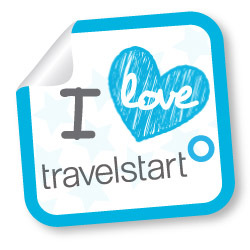 Travelstart is an easy and quick way to book your travel. Travelstart also has a call centre. Their agents are knowledgeable and are glad to help with booking your trip and facilitate your travel arrangements. Having all the information that you need for your holiday in one easy place makes life easier. You can search, select and book very quickly with no hassles. 2006 was the year we welcomed Travestart in our South African borders, although launched in Sweden in 1999. As we speak, they are present in 10 countries and have 182 people as part of their staff. The objective for Travelstart SA is to provide the simple yet effective ways to book domestic and international flights online. Travelstart SA follows the overall company mission of ensuring that travel is made easier for customers when it comes to searching, comparing prices and booking. It doesn’t matter if you travelling for If business, leisure or as a group. With Travelstart online booking, the nuisance of searching is handed to them. They are South Africa’s leading travel agency and have successfully expanded to online bookings for hotels and car hire too. The internet has a huge impact in our daily lives and has made life a lot more convenient especially when vacation comes to mind. If you are planning a vacation you can either book it yourself or you can make use of a travel agency. It has become more popular to book vacations online which can result in all kinds of complications especially if you are not familiar with the place. With Travelstart online booking you make use of the power of internet plus a travel agent who is an expert in the field. You know with Travelstart cheapest flights and hotel will be booked. With Travelstart flight booking, you are able to compare quotes all in one place unlike manually searching for quotes at different airline companies. Travelstart flight booking removes the time consuming task from your hands. Whether you are travelling oversees for business or leisure you are rest assured that with Travelstart cheap flights can be booked in an instant. You can also save money by making use of their services instead of a personal travel agent who charges additional fees. Because you are able to compare quotes on the Travelstart online website you are guaranteed that you are getting the cheapest flight. Plus there are promotions and discounts offered on the Travelstart online website unlike personal travel agents. You not only save with Travelstart international flights but also with domestic flights. With many small airline companies entering the airline industry in South Africa, it would be a shame paying nothing but the competitive rate offered in this industry. Booking a flight to Johannesburg? Why not make use of Travelstart domestic flights portal. All the big players and small players are easily found there. When you make use of Travelstart domestic flights, you are guaranteed that you will not be ripped off by a big contender as you are in the loop when it comes to other companies and their prices. Travelstart booking affords you the opportunity to get a general idea of the costs you might possibly incur while travelling overseas. Their website has the up to date exchange rate, so you know how much rands you going to need to book a Travelstart international flight. The Travelstart booking process is very easy and their website is user friendly. These things can be intimidating but not so with this company website.